Army scientists have discovered a new way to create night vision that could be cheaper and provide better vision than current methods. 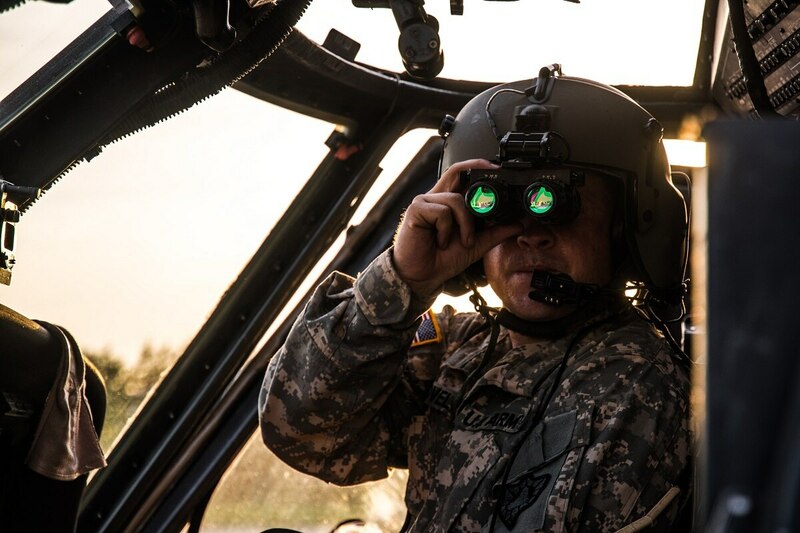 Scientists at Stony Brook University, who partnered with the U.S. Army Research Laboratory, have found ways to reconfigure materials that previous researchers considered incapable of use in night vision devices, officials said in an Army press release. This discovery and method of altering the compounds could produce a less expensive way to fabricate the key materials used to build night vision. And scientists say the new configuration could give soldier better vision as well. “The more sensitive such a camera is, or in other words, the smaller the color temperature differences are that it can see, the more details that can be discerned on a battlefield, and enemies can be detected at longer ranges,” said Wendy Sarney, who, along with Stefan Svensson, developed the new method for using the materials. The pair pioneered a way to use a semiconductor material that had not been used before in infrared cameras known as InAsSb. It is a common material, found in DVD players and smartphones. By manipulating the spacing between the atoms of the material, the two scientists have been able to make InAsSb work in camera sensors. The spacing change allows manufacturers to make multiple camera sensors at once, reducing the cost of producing the sensor materials for cameras.